Sure, you’ve come here for the beach, but any visit to the York area requires a trip to see the world-famous and absolutely picture-perfect Nubble Light, officially called the Cape Neddick Light Station. Who would pass up the chance to see one of the most photographed lighthouses? Make the easy climb or drive (692 ft.) to the peak of Mount Agamenticus for the best vantage point to see all of York—including our four sandy beaches. Look east for the Boon Island Light or northwest to spot Mount Washington in the distance. 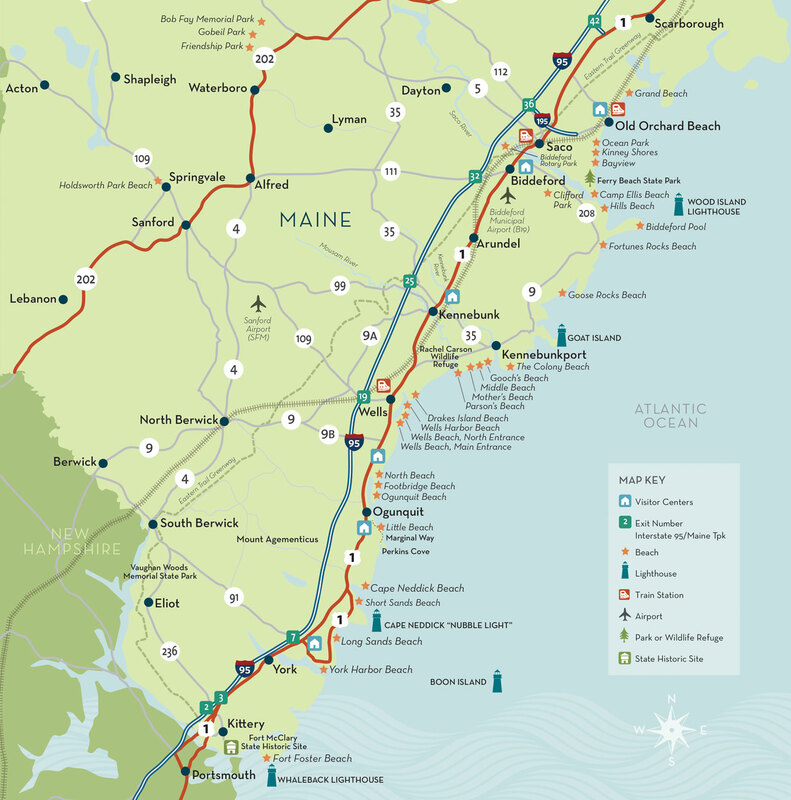 Back at sea level, if you are looking to shop, take time out from the sun and sand to explore the many factory outlet stores along Kittery’s US Route 1. History comes to life at our many historic properties and museums. The Museums of Old York collection, nine buildings at last count, includes rugged barns, salty taverns, stately residences, and the fascinating Old York Gaol (jail). In South Berwick, visit the Old Counting House or the Sarah Orne Jewett House right in town. In Kittery, discover Fort McClary, a Revolutionary War fort, only a short distance from where the sloop USS Ranger, under the command of the greatly admired John Paul Jones, was built and launched. Take in the breadth of our nautical history at the Kittery Historical Naval Museum and learn how our 200-year-old shipyard has impacted the development of the region. Head inland to the 250-acre Vaughan Woods State Park and Hamilton House—an ideal place to put in for a day of recreational paddling along the Salmon Falls River. In the York region, finding accommodations is limited only by your imagination. Rent beachside cottages or camp out under the stars, stay in a warm and welcoming B&B, or kick back at a motel or hotel just steps from the beach. Visitors looking to feast on Maine’s famous freshly caught lobster and other seafood will have no end to a selection of tasty restaurants that will satisfy anyone’s dining desires. Whether it is a summer family weekend getaway, picturesque destination wedding, or romance-filled retreat, our long sandy beaches, breathtaking views, easy access to recreational pursuits, and extensive shopping and dining have something for all who visit the York area.